This grand six-part adaptation of Sir Walter Scott's rousing adventure of the Middle Ages tells the epic tale of the idealistic young knight Ivanhoe (Steven Waddington) and his battle against the evil Templar Bois-Guilbert (Ciarán Hinds. 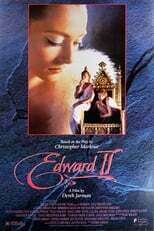 Caught between the rivalries and religious struggles are Ivanhoe's betrothed Rowena (Victoria Smurfit) and the brave, beautiful Jewess healer Rebecca (Susan Lynch), who wins Ivanhoe's heart with her courage. Set against the historical backdrop of a Britain straining under the corrupt rule of Prince John while Richard the Lionhearted fights in the Crusades.